Clinique Pep-Start Eye Cream Review (2018):Worth Buying? Clinique Pep-Start Eye Cream Review: Ingredients, Side Effects, Detailed Review And More. What Is Clinique Pep-Start Eye Cream? Clinique Pep-Start Eye Cream is an eye cream which provides to have quick results that you can see (with a mirror, of course) – in as little as three seconds, Clinique claims. The product supports healthy appearance through a combination of a unique applicator and the inclusion of peptide compounds. It is sold in tubes of 0.5 fluid ounces each, and while the price may vary in some outlets, we were able to locate it for $26.50 per tube. There was no evidence of a bulk discount, and presumably return policies would depend on the retailer where you purchased it. We could not find a full list of the ingredients included in this product on Clinique’s website or at third-party retailers, unfortunately. However, they do mention peptides, which are commonly included in order to provide direct nourishment to connective tissues in skin. It is also claimed to be ophthalmologist-approved and to be safe to use even over an already made-up face. As, per the guidelines suggested by the manufacturer of the product, squeeze a small amount of the product into the applicator tip and swipe a small amount onto your closed eye, including the lid, smoothing any excess into your skin until it’s fully absorbed. The makers encourage you to use it at least twice a day, morning and night, but say that you can also apply it whenever you feel it would help your appearance. 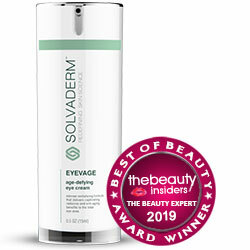 The product targets the skin under the eyes, which is more delicate than that of other parts of the face. The entire product is in a small and easily-carried tube with a special applicator tip. The formula for this product isn’t shared. While protecting proprietary blends is understandable, this extends to the point of only sharing that it contains “peptides” in some form, making it hard to be sure it will be safe for people with skin allergies. No clinical trials or independent studies are cited that address the product’s effectiveness. The price is rather high for the amount of material that you actually purchase. Clinique Pep-Start Eye Serum is a targeted eye cream that’s claimed to be able to work even through your daily makeup. Clinique, its makers, are reputable and well established, and the product is available in many places, suggesting that you will get what you pay for – but the lack of information on its ingredients, clinical research backing its claims, and its relatively high price are all obstacles to the canny customer. 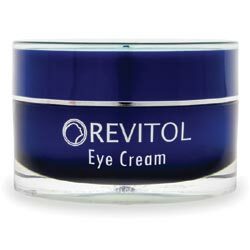 Be sure to shop around thoroughly and find the eye cream product that fits your needs and budgets best!